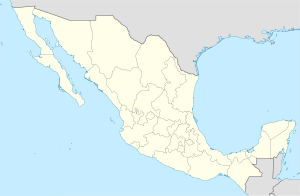 Autlán de Navarro is a city and its surrounding municipality of the same name in the Costa Sur region of the southwestern part of the state of Jalisco in Mexico. At the Mexican census of 2005, the city had a population of 53,269. In 2010 increased approximately up to 108,427 this time taking part all its delegations. The municipality has a surface area of 962.9 km². It’s 192 kilometers away from Zona Metropolitana de Guadalajara and 165 kilometers from Puerto de Manzanillo. This department capital is the most populated largest city of the region Sierra de Amula (Amula’s mountains) and Costa Sur (Southern Coast) of Jalisco. It’s a leader district in the region since Autlán is an important commercial exchange center. 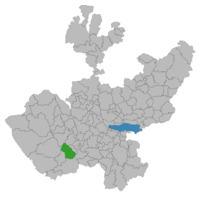 In September 12, 2014 the Zona Metropolitana de Autlán (Autlán Metropolitan Zone) was vouched for the union congress. Two recent mayors were Fernando Morán Guzmán (2010–2012) and Fabricio Israel Corona Vizcarra (2015–2018). The name comes from the Nahuatl language, Aotli (water way, water channel or water ditch) and Tlan (place of or near) and means "next to the water ditch." Carlos Santana and his brother Jorge Santana, musicians. Efren Montaño-Plascencia, Presidente (Los Barritos). This page was last edited on 27 October 2018, at 21:08 (UTC).